Lana Del Rey Teases Late Summer Single, "Mariners Apartment Complex"
Lana Del Rey has been spending time in the studio with Jack Antonoff. 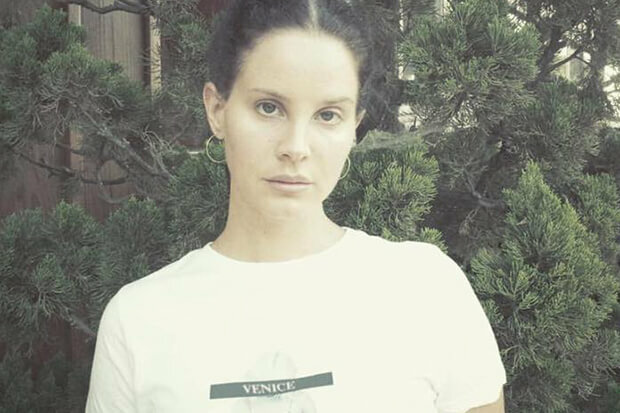 Update: Lana Del Rey’s “Mariners Apartment Complex” is here and it’s magnificent. Stream the song below. Where there’s smoke or an Instagram pic, there’s fire. Lana Del Rey has shared a couple of snaps with Jack Antonoff this year and the fruit of their labor (well, a piece of it) arrives this week. “Two end of summer jams for ya out next week,” the “Love” hitmaker shared on social media over the weekend. “The first is called ‘Mariners Apartment Complex. '” She also shared a snippet of the song and named Jack as a collaborator. “You took my sadness out of context at the Mariners Apartment Complex, I ain’t no candle in the wind,” the 33-year-old sings over strummed guitar. “I’m the bolt, the lightning, the thunder, the kind of girl that’s gonna make you wonder who you are and who you been.” I’m already sold. The snippet is accompanied by a black-and-white video, which was directed by her sister Chuck Grant, and it begins with crashing waves, before cutting to a closeup of a moth and footage of Lana chatting on her phone by the side of a freeway. As yet, the second single doesn’t have a title. It will be interesting if these are stand-alone songs or part of a bigger project. Take a listen below. Are you excited for the songs? Let us know below, or by hitting us up on Facebook and Twitter!